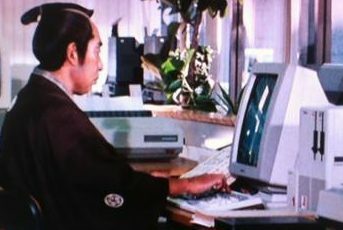 With the prevalent use of computers in Japan, especially cellphones, the “evolutionary need” to write kanji by hand is steadily declining. It’s not uncommon for a Japanese person to whip out their cellphone when they can’t think of how to write a character or word, by typing out the phonetic pronunciation, converting it, and then using the phone as a reference. Once seeing the characters it clicks, and they realize what to write. It’s a bit a phenomenon where the characters aren’t actually forgotten, but just can’t be recalled on the fly when writing certain words. It likely started off with more difficult to remember (less commonly used) kanji as a handy reference, but is increasingly being used more and more as a crutch, since it’s so easy to type a word or character on your phone. The concept for this is called “ワープロ馬鹿” in Japanese, translating to “word processor idiot”, referring to the fact one would need to look at the converted text in a word processor as a reference to remember what to write. The fact kanji amnesia is growing is somewhat ironic, coming from a country still obsessed with the fax machine, where it’s common practice for businesses to take orders via fax. In the country I live in, I would be pretty surprised if I encountered a modern company that prefers fax, or even yet won’t accept email and require fax instead. (This actually happened with my previous landlord, and I thought it was extremely archaic). However, a decade ago, a now 40 year old Japanese bento box company named Tamagoya tried to modernize their ordering system by only taking orders online, and their sales quickly plummeted. They went back to fax, and now they are doing quite well and take most of their orders via fax. 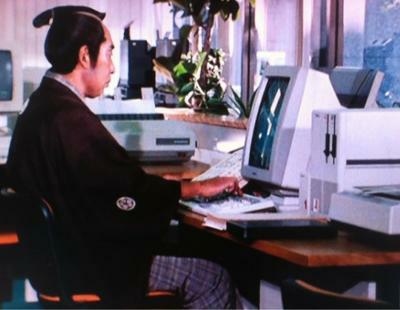 In 2012, 1.7 million fax machines were purchased in Japan, and over 60% of households currently own one. There’s something more personal about a handwritten fax, which is likely why the popularity has remained in Japan. Some claim kanji amnesia is not a problem, not that it doesn’t exist, it does, but that using a cellphone to look up a character is not such a bad thing. A survey taken in 2012 shows that 66.5% of Japanese who participated believe their ability to write kanji has declined directly due to the use of texting. For those 40 years or older who took the survey, the percentage increased to 79.5 percent. I personally think it’s silly to rely on technology as a crutch like that, much like not learning Math and relying on a calculator. Though it’s not exactly the same scenario, I would be pretty irritated if I had to look up the spelling for the word “irritated”, and couldn’t write it correctly without reference. With that said, anyone who’s studied kanji knows it’s far easier to recognize a character than it can be to produce it. Since modern technology has made it so easy to write in Japanese phonetically and have the text converted for you, the amount of characters people are expected to know has recently increased. These are called 常用漢字 (じょうようかんじ）, literally “everyday use kanji”, which are the set of characters expected to be memorized and producible. 1931: The former list was revised and 1,858 characters were listed. 2010: The list was revised to include an additional 196 characters and remove 5 characters, for a total of 2,136. The increase of 196 characters in 2010 is logically a direct result of the use of technology and word processors, where people are exposed to characters quite easily and therefor should be more likely to recognize and produce them. If you think learning 2,136 characters is challenging, you should check out the 漢字検定, which includes 6,355 kanji on the hardest level of the exam. Don’t worry, this is rarely passed! I assume anyone who’s reading this agrees kanji amnesia is a problem, (otherwise why use Skritter)? Be sure to share your thoughts in the comments!